I learn a lot about using evidential tools from a homicide detective names J. Warner Wallace. His website is stocked with mega resources on Christian case-making including video teachings on You Tube, blog posts, essays and podcasts. All serve to help us, the ordinary Joe & Jane, who want to think logically and rationally about important topics including our Christian convictions. 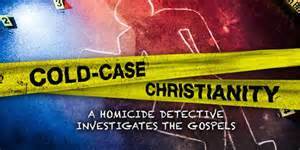 The name of his site is Cold Case Christianity. In a podcast dated 18 April 2014, he detailed the way of thinking that is most often used by detectives (and doctors) called abductive reasoning. This is simply a way of coming to the most reasonable explanation that best takes into account the evidence presented. In a crime scene, detectives collect and inventory the artifacts (aka potential evidence), eliminating nothing. They then set out to hypothesize all possible explanations. To me, this sounds like brain-storming, where the one rule is: Don’t rule out anything! 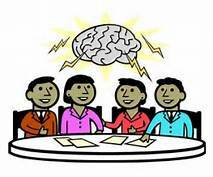 ‘Toggling back and forth’ between the evidence and the explanations is the way J. Warner describes the process of thinking through the facts until the most reasonable explanation emerges. Here is where it is critical that we (and jurors to whom evidence and explanations are tediously presented) distinguish between the possible and the reasonable. Many explanations are possible, but far fewer are reasonable. 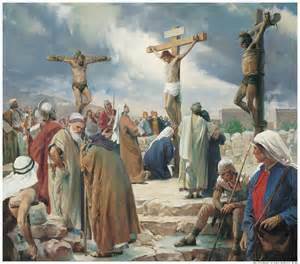 Christians claim that Jesus from Galilee rose from the dead, after having been murdered by crucifixion and buried. 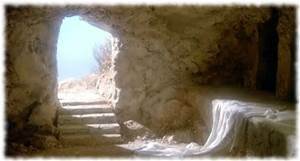 The tomb where he was buried was discovered to be empty 2 days later. That is a fact. Even atheistic New Testament historians and scholars accept that as incontrovertible, that a real man in history, named Jesus, was executed and buried. What are some possible explanations for these 2 subsequent claims of an empty tomb and sightings of Jesus? I am not going to take the time or space to refute each of these POSSIBLE explanations. I want simply to point out (and you can look up for yourself – Defending the resurrection) that despite many possible explanations, rationally we must settle on the one that is the most reasonable. This explanation will be the simplest approach that takes into account all the details. Considering every possible explanation is going to present far more barriers to overcome. Logical people do not cling to complicated, contorted explanations UNLESS they carry a BIAS going into the their investigation. And Bias is a topic better suited for another day. May you & I rest in the FACT that we are created in the image of a rational divine being who has endowed us with the capability of rational thought. And if you are an atheist, may God bless you. And may you thank HIM for giving you the gift of thinking. Be courageous to follow the evidence where it leads!